However, EAPN Spain points out that several topics should be discussed and solved at Parliament level, i.e. right to education, access to housing, family reunification, access to free justice, access to basic health and social services, immigrant detention (extended to 60 days), and the considerable stiffening of laws concerning undocumented people. 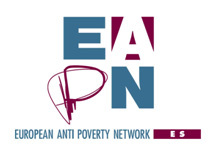 EAPN highlights that the rights of anyone who contributed to society during the economic growth should not be questioned in these times of crisis. EAPN also calls on the Parliament to make sure that immigrants’ rights are neither undermined nor reduced. This is crucial, reminds EAPN, if we are to fight exclusion. Read more here (in Spanish).